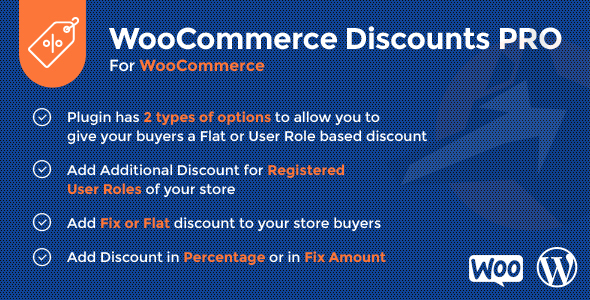 This plugin allows merchant to give their buyers a flat or fix discount or WordPress registered role based discounts. They can easily customize the discount purpose like labeling also. Offer more! Set up alluring rebates for clients who purchase huge amounts. Run exceptional Christmas, Easter or Black Friday advancements. Set up leeway or blaze deals. This feature can be used at time when you would like to give discounts to your store buyers. Like, Anniversary Sale, any Festival Discount and many more. You can set the discount based on registered user roles and that will apply to the buyers based on their registration role like wholesaler, retailer, staff members.